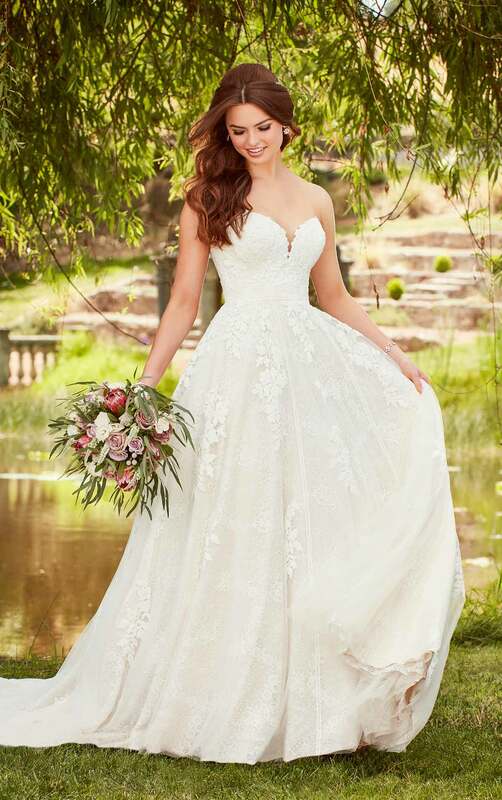 LENEXA, Kan., November 8, 2018	(Newswire.com) - Award-winning bridal label Essense of Australia is excited to debut its newest collection. Featuring 40 wedding dresses, the collection is an ideal mix of classic, romantic silhouettes and fashion-forward styling. 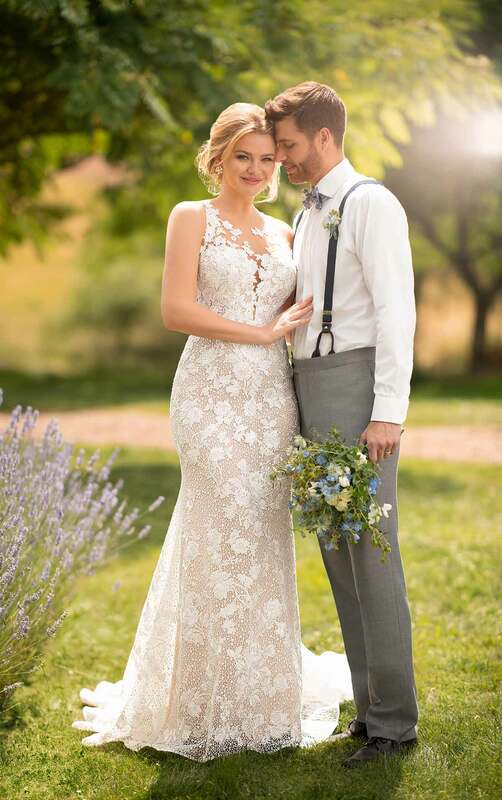 Ranging in price from approximately $700 to $2,300, the new dresses incorporate on-trend styling into timeless, traditional detailing for the modern bride who dreams of a classic wedding day. Softly adorned in shimmer, many of the gowns feature intricate hand-placed laces that catch the eye on necklines and back details, while lustrous fabrics are layered with French tulle in romantic full skirts. New shaped trains are also setting this collection apart from the rest. From various forms of organic and scalloped shaping to laser-cut lace details and horsehair finishing, this collection captures every aspect of the growing bridal trend. The new Essense of Australia collection is available now at retailers around the world. For more information or to view the entire collection, please visit essensedesigns.com. 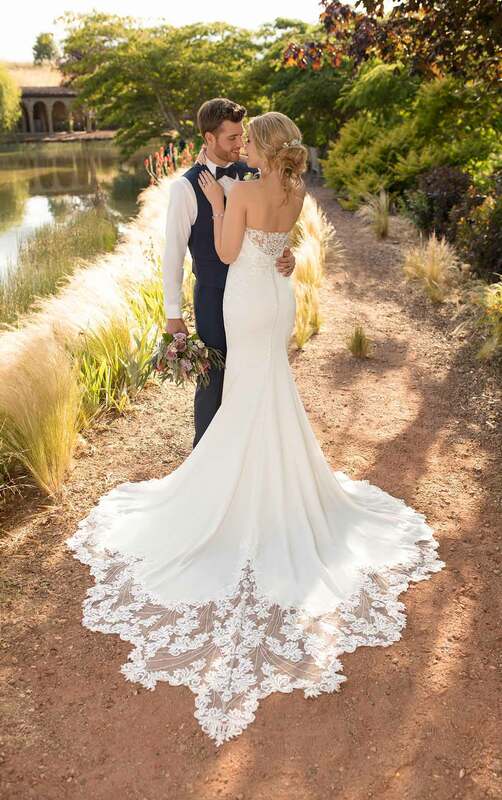 Essense Designs was founded in Perth, Australia, in 1992, and is led by co-owners Wayne and Martine Harris with the mission to exceed brides' expectations by designing, manufacturing and wholesaling wedding gowns with fashion-forward styling, superb fit and extraordinary customer service. The company's Lenexa, Kansas, office in the Kansas City metro area serves as the hub of its northern-hemisphere business, while its original office in Perth serves the southern hemisphere. The company also has offices in the U.K. and Switzerland and serves more than 1,200 retailers worldwide. The Essense Designs family of brands — which includes Essense of Australia, Stella York, Martina Liana and Sorella Vita — can be found in the U.S., Canada, U.K., Australia, New Zealand and throughout Europe.